Missouri Auditor Tom Schweich came across as a relatively mild-mannered politician, but when he formally declared his candidacy for governor last month, he came out swinging. 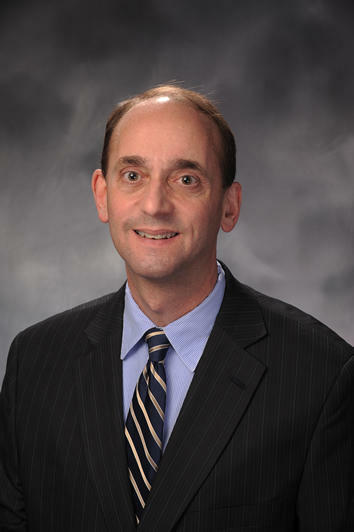 Schweich, who died Thursday from a self-inflicted gunshot wound suffered at his home in Clayton, came out of a career in public service to first run for statewide office in 2010, when he ousted incumbent Democrat Susan Montee. His aspirations for public office had been nurtured by former U.S. Sen. John C. Danforth, his former boss, and GOP contributor Sam Fox. After a relatively calm first term, Schweich won a second four-year term last November, when Democrats didn’t even field a candidate. But it quickly became clear that Schweich had his eyes on a bigger prize – the governor’s office, which Democrat Jay Nixon will leave after serving two terms. 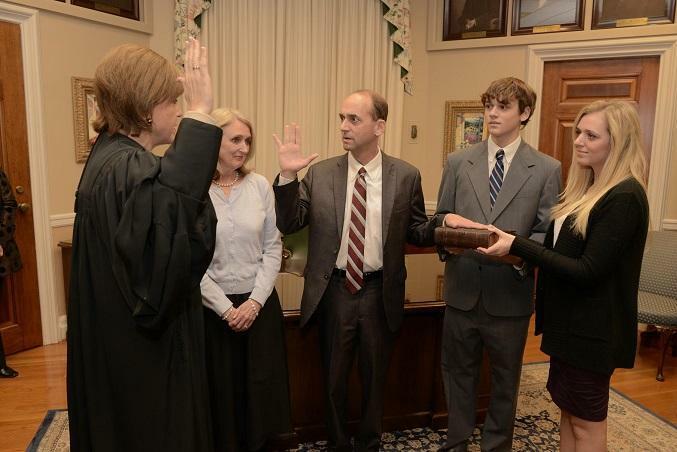 St. Louis Public Radio's Jason Rosenbaum takes a look at Schweich's life in government and politics. When he made his formal announcement for the office in late January, Schweich took aim at his main opponent, former U.S. Attorney and Missouri House Speaker Catherine Hanaway, and her main backer, financier Rex Sinquefield, who has donated at least $1 million to her campaign. 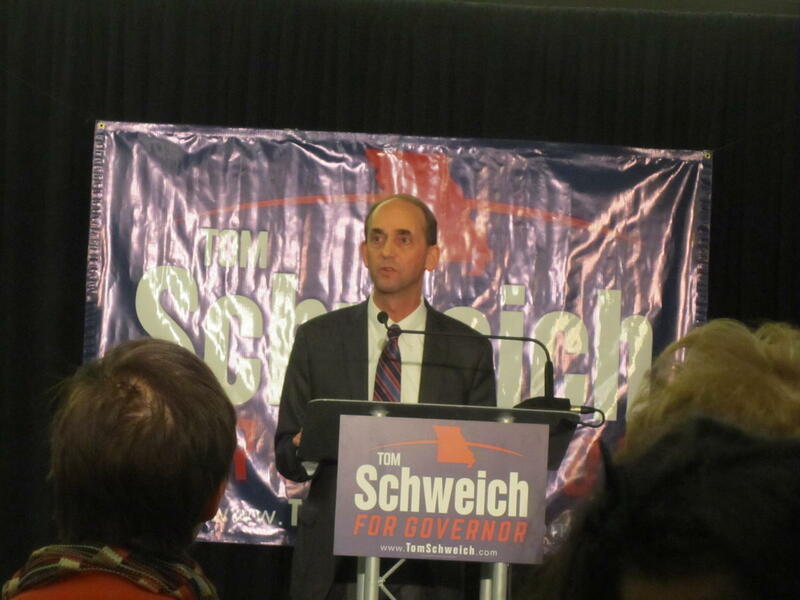 Tom Schweich announces his bid for governor last month. Though Schweich did not seek elective office until his campaign for auditor, he served in several government positions before that point. He served as chief of staff when Danforth headed an investigation into the 1993 siege of the Branch Davidian compound at Waco, Texas. He then was chief of staff to three U.S. ambassadors to the United Nations. In that post, he concentrated on finding wrongdoing. In a later position, Schweich worked in the State Department’s Bureau for International Narcotics and Law Enforcement. There, he helped develop programs designed to curb narcotics trade and terrorism, leading diplomatic missions to more than two dozen countries. In 2007-2008, he coordinated the U.S. work in counternarcotics and justice reform in Afghanistan, helping to curtail opium production in that country and rebuild its legal systems. During a Politically Speaking podcast in 2013, he talked about why he decided to run for office. Schweich was a fifth-generation Missourian and a graduate of Yale University and Harvard Law School. He told an interviewer on St. Louis on the Air in 2003 that his interest in legal matters began early. As word spread Thursday, first of Schweich’s hospitalization due to what a statement from his office initially called a “medical situation at his home this morning,” then his death, public officials issued statements of reaction and condolence, via email, Twitter and other avenues. 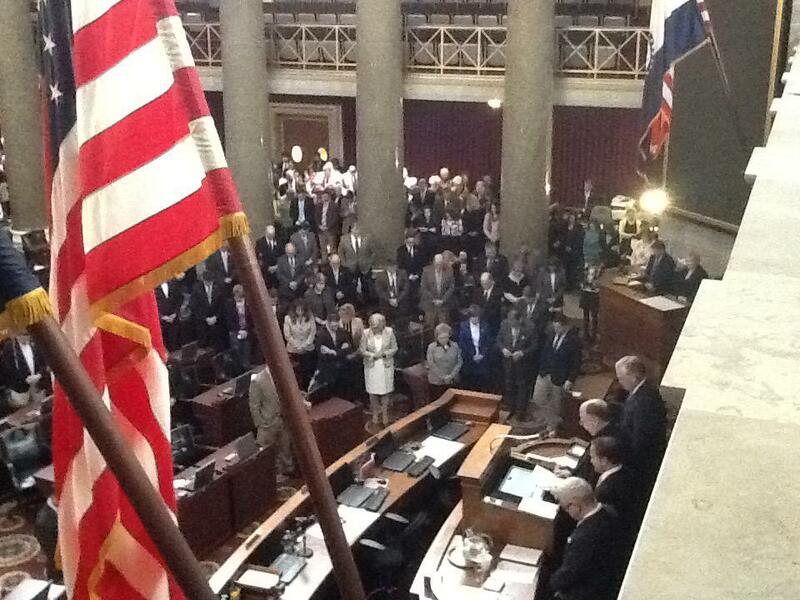 A prayer service was held in the Missouri House after his death was announced. “I join all Missourians in mourning the passing of State Auditor Tom Schweich, a brilliant, devoted and accomplished public servant who dedicated his career to making Missouri and the world a better place,” Nixon said. He ordered flags at all Missouri state facilities to be immediately lowered to half-staff to honor his passing. Hanaway, his opponent for the GOP nomination for governor: “I am deeply saddened by today’s news regarding Auditor Tom Schweich. Auditor Schweich was an extraordinary man with an extraordinary record of service to our state and nation. Our state and nation are better places because of his tireless dedication to duty and service. His wife, Kathy, and two children, Emilie and Thomas, will be in my prayers. I ask everyone to respect their privacy." U.S. Rep. William Lacy Clay, D-University City -- ""Shocked by tragic death ... Dedicated and talented public servant. Thoughts and prayers for his family." A memorial service for Tom Schweich was held in the Missouri House Thursday afternoon. Secretary of State Jason Kander, a Democrat -- "Tom Schweich was a devoted public servant that I feel fortunate to have gotten to know as a friend and colleague over the past few years. Whether he was serving as our State Auditor, the U.S. Coordinator for Counternarcotics and Justice Reform in Afghanistan, or working at the State Department, Tom always fought tirelessly for the people he was serving. Anyone who had a conversation with Tom knew how dedicated he was to his service." State Treasurer Clint Zweifel, a Democrat -- "Tom served his state and country admirably, and fought strongly for his values. With his passing, Missouri has lost a devoted public servant." State Sen. Eric Schmitt, R-Glendale: “I’m deeply saddened by the tragic news of the passing of our State Auditor, Tom Schweich. Tom was a great public servant not only to our state, but to our country as a whole." State Republican Party Chairman John Hancock -- "Tom will be remembered as a tenacious, energetic, effective elected official who worked tirelessly on behalf of the citizens of this state and this nation." Former Gov. Bob Holden -- "A real tragedy. Thoughts and prayers are with the Schweich family." Former U.S. Sen. Jim Talent and his wife, Brenda -- "We are brokenhearted at the passing of Tom Schweich. He was a fine leader, caring and passionate about his service to the State of Missouri, a brilliant man of great integrity and patriotism, many interests and much accomplishment in law, diplomacy and public affairs. He was our friend. We will miss him, and our prayers go out to Kathy, their children and all of those who knew Tom and loved him." Lewis Reed, St. Louis Board of Aldermen President: "My sincere condolences go out to the family, friends, and colleagues of state Auditor Tom Schweich." Jason Rosenbaum contributed information for this story. Missouri Auditor Tom Schweich has died from a self-inflicted gunshot wound, shocking the state’s political world and throwing turmoil into the state’s 2016 contest for governor. The Republican gubernatorial primary is more than a year-and-a-half away on Aug. 2, 2016, but candidates are already busy staking out their positions and priorities. Missouri state Auditor Tom Schweich appears ready to launch his expected 2016 campaign for governor. If so, he will be the second well-known Republican to seek the job now held by Democrat Jay Nixon, who cannot seek re-election because of term limits. 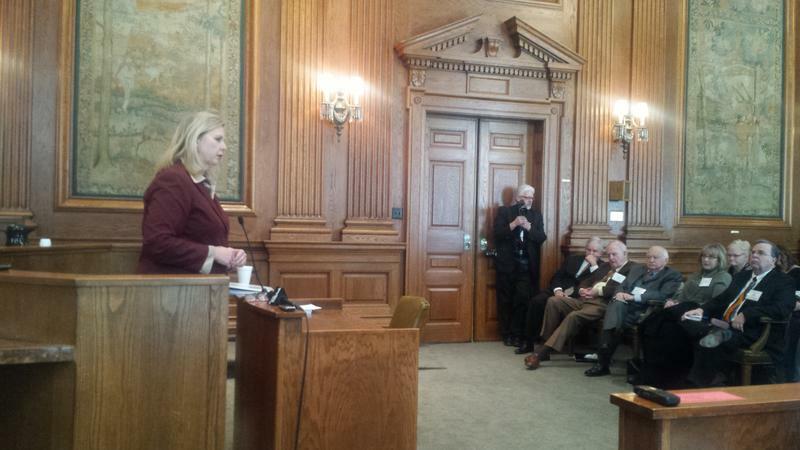 Former House Speaker Catherine Hanaway declared her candidacy last year. The only announced Democrat is Missouri Attorney General Chris Koster. 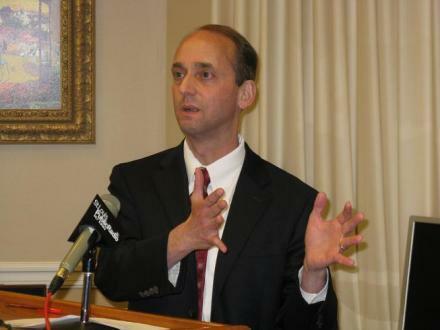 Schweich’s campaign sent out a release late Tuesday saying only that he is making “a major announcement’’ at 4 p.m., Wednesday at the University of Missouri-St.Louis. Within minutes of the news of Auditor Tom Schweich's death, Gov. Jay Nixon ordered all flags on Missouri property lowered to half-staff. But the governor will soon have a much bigger decision to make: who to appoint as Schweich's successor.